The fun is in feeling stretched. From time to time it is good to leave the ordinary bowls behind and try something that may or may not work out, but should be interesting to turn. 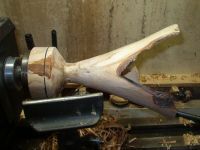 As I come to an interesting piece of wood or something that will stretch my understanding of turning wood, I plan to post it here as the work progresses. Some things may work and some may fail, but I should learn from all of them. Hopefully you too will enjoy and learn and share the experience. I do not expect any regularity to these pages but occasionally something will come about. 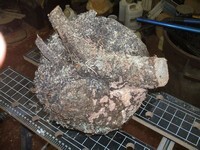 With the last spruce burl done, another has made it to the lathe with a whole new set of design challenges and turning mysteries. Finally done, the vase has become an expression of praise with outstretched arms. 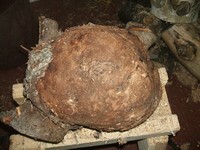 The stump has progressed to a birch vase with outreaching "arms". 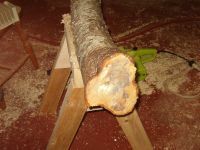 I had taken down a couple of small birch for Dad. They had died on the stump and then stood for a year or so. 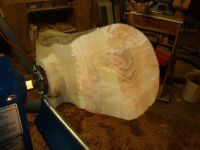 I expected a bit of spalt so I decided to work on the stump section of the larger. 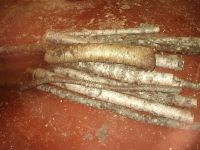 As stumps do, it widened towards the bottom and the root beginnings caused a fair amount of irregularity. I decided to make this the top and leave edges around the voids. 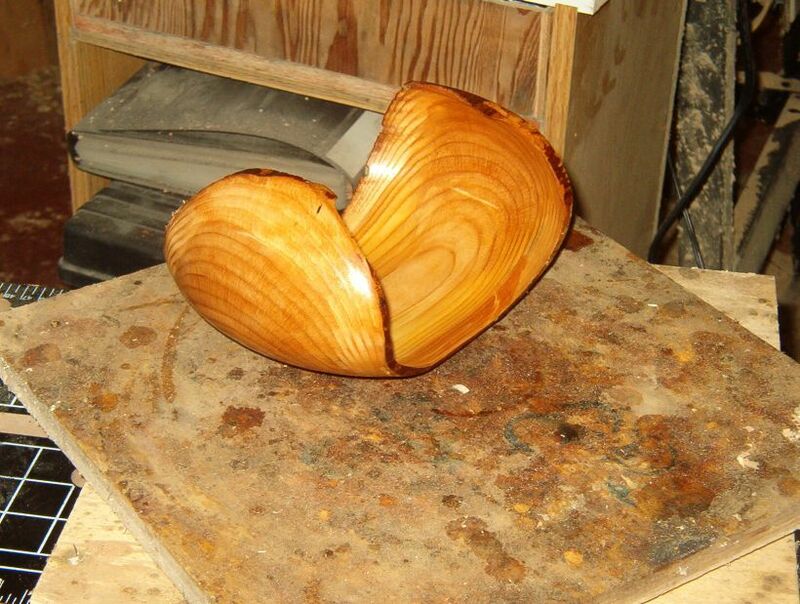 Manitoba maple or ash leaf maple will often have red streaks close to the heart. 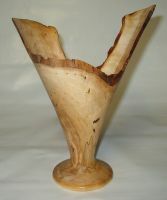 This piece of crotch wood revealed some nice color along with characteristic crotch grain in a winged platter about 13" long and 6" wide. Clicking on the image will take you to the project. I turned a block of tamarac with its characteristic pronounced grain into a bowl with open sides and inturned edges. It was a lot of fun.